If you have been searching for a home that makes you feel as if you are on a year-round vacation, your hunt is over. Hernando Beach is a small community consisting of fewer than 2500 residents and could serve as that permanent tropical vacation you have always dreamed of. Although there is no actual beach, all Hernando Beach homes are waterfront homes built on saltwater canals with direct Gulf access or on freshwater canals with indirect access. You will never have to pay higher prices for waterfront bliss here. Compared to the larger, highly populated, neighboring beach locations like the Clearwater area, Hernando Beach homes are offered at discounted prices. There is 360 degrees of paradise and fun surrounding Hernando Beach. Located on Florida’s west coast, the community is tucked neatly between the Gulf of Mexico on the west and Weeki Wachee Springs State Park on the east. Basically you are only minutes away from a day at the beach on the Gulf or a relaxing riverboat cruise and other fun activities provided at the state park. You are also only 90 minutes from Disney World and other Orlando attractions and an hour from the Tampa International Airport and Busch Gardens Tampa theme park. If you enjoy the social life, the community has plenty of that too. Boating enthusiasts will be thrilled to know that Hernando Beach has a yacht club. Members of the Hernando Beach Yacht Club are instantly members of the Yachting Club of America, and privileges are extended to other yacht clubs in the state of Florida. The club is easy to find on Shoal Boulevard—the main route into the community. 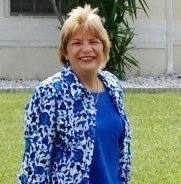 For a small membership fee, the Hernando Beach Club, located at the north end of the community on Flamingo Boulevard, is a great place to stay connected with friends. You will have a breathtaking view of the sun setting while you eat your evening meal in the barbecue area or the large gazebo overlooking the Gulf of Mexico. The club can also be rented for weddings and other family functions. What began as a community of mainly retirees now beckons families with a crime rate below the U.S. average and school classrooms that boast fewer than 20 students per teacher. Back yards are marine retreats with occasional visits from dolphins and other oceanic life. The streets have a low volume of traffic and the local restaurants receive rave reviews. 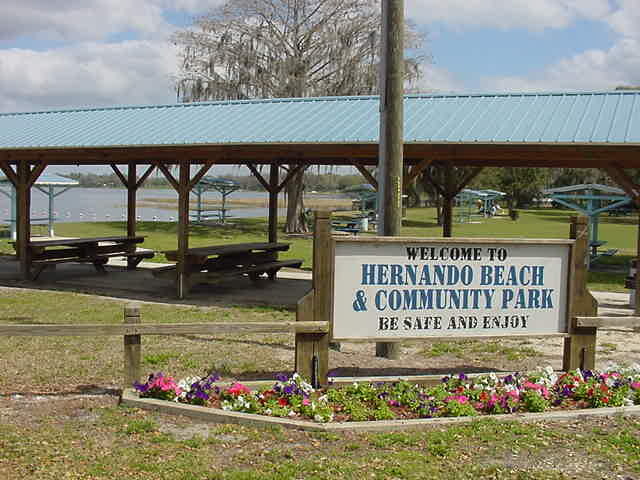 Hernando Beach provides splendid living for retirees and families alike. Reap the benefits of small town living with big town amenities. Treasure a quiet retirement or discover a safe family haven from the rest of the world. Your peace and tranquility are waiting for you in Hernando Beach. In many ways, buying a Florida home is a unique experience, especially with the foreclosure rate slowing down, but in many other ways it’s like buying a home anywhere. You have to qualify for a loan, have enough money saved for a down payment, and still be able to pay your mortgage every month. However, in Florida, there is a program called S.H.I.P, which is designed to help people with down payments. These loans can be used to buy a Spring Hill home that needs repairs or for repairing your existing home. The money can be used to fix things like building code violations, energy conservation, and correcting health or safety violations. Before you can get this assistance though, you have to qualify for the help. Once you qualify, you could be eligible to receive anywhere between 3.5%-20% of the purchase price. This money can go towards a down payment on a new house or it can be used to fix up a pre-existing house. Many people use these loans to buy bank-owned homes in need of renovations. If you think you qualify for the S.H.I.P program, don’t hesitate. First of all, get in touch with Obtain Pre-Approval from a reputable mortgage lender or bank, and then schedule a First Time Homebuyers Education Class. This will take about eight hours and is mandatory for low-income families. Then, make an appointment to apply for S.H.I.P funds and contact one of our Spring Hill Homes realtors. We have extensive experience working with S.H.I.P. Program recipients and would be happy to get you started. The real estate market in Spring Hill, Florida - and the rest of the state, for that matter - is always changing. You can’t assume that it will look the same tomorrow as it does today, because it rarely does. Paying attention to trends in the market, as well as past performance, can help you to understand where the market might be going as you prepare to buy or sell a piece of property. To get a better understanding of the market conditions that are currently facing those in Florida, let’s look back at what transpired in 2013, before looking ahead at the year to come. For nearly any statistic you choose to look at, you will see the same story - the real estate housing market was gaining steam all throughout 2013. The story within Spring Hill was largely the same as it was across the rest of the state. Median values were up slightly more than 15%, which fell right in line with Florida as a whole. Buyers found a competitive market when looking for properties, and sellers had an easier time commanding a higher price. Projections for 2014 continue to look strong, however the growth of the market is expected to slow slightly. Part of the reason for that expectation is simply the rapid growth of the last couple years needs to level off at some point. Prices will likely continue to rise, and there is likely to continue to be strong competition for buyers, but it should be more modest than was seen in 2012 and 2013. Just as in 2013, there is every reason to believe that the Spring Hill, FL market will follow in step with the statewide market as a whole. Moderate growth can be expected, but prices are more likely to gain in the 5%-10% range than they are to reach 15%+ once again.